Aside from instant messaging and voice chats, SMS and MMS will be integrated with Google Hangouts. Now, all your communication needs can be easily found in one tool. Each message will be labelled based on what medium it was sent through. You don’t need to worry about all your information getting jumbled up. The technophiles from Android Community reported that Google Now may have a “listening mode,” which is pretty similar to the one found on Moto X. Through this feature, users can give out voice commands directly from their home screen without opening Google Search, or using the speaker button of its widget. In the Jellybean 4.2 version, Google allowed users to access the Camera tool on the lock screen, by swiping their finger to the right. This feature will still be available on the 4.4. But, if you need to snap an image, a camera icon will be located on the lower right of your phone’s lock screen. Its stock camera will have a couple of adjustments as well. Options for using filters, effects, and borders will be added. Developers have also tweaked its user interface to help us access flash settings, image size, and timers with ease. Other features may also include the ability to save pictures in PDF format, and export them in different sizes and quality. The developers may include cloud printing to it, so you won’t have to rely on third-party tools. This also goes with its mobile payment system. However, your device must have an NFC chip in order to use it. Google’s very own tool for editing and viewing Microsoft documents, presentations, and spreadsheets will be a native application on the KitKat. 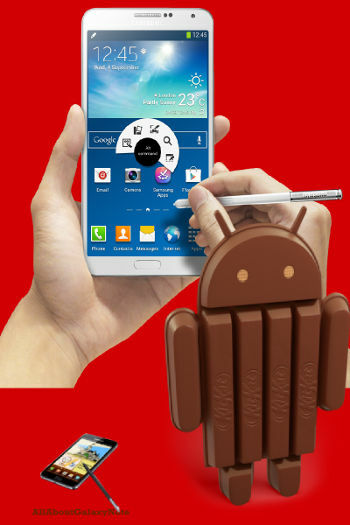 Excited to install the new Android Kitkat in your device? Share your opinion in the comments section below. Nadia Hyeong is a freelance writer who loves mobile technology. Armed with Verizon’s 4G LTE and a Galaxy Note 3, she loves to attend technological conferences, and write about the latest trends in the industry. She’s currently busy choosing the color of her next Galaxy Gear. To learn more about Nadia’s adventures, feel free to follow her on Twitter. Actually, after a major update, it’s a good practice to reset the device. It will eliminate many strange problems. Please backup your data before resetting. I hate kitkat on my Note 8.0– now the battery life is draining much quicker and cannot save on my 64gb external card… Really?? -Thanks a Lot Google – NOT! I am experiencing a lot of problems with my note 3 s view functionality. Before updating to 4.4.2 every thing was proper. Now I feel even I have lost my battery backup. Any specific issues? Both official and third party s view should work. Hi there.im a user of note 2. I hv problem which I m not sure is it a virus or what. My note hang and its always appear note “unfortunately, …. playstore has stopped”. When I try to open my playstore, it will bounce back to main screen. My fb and wassup all gone. What should I do now? To re format my note? backup and do a factory reset.